Keep in mind; migraine symptoms may begin one or two days before the migraine begins. Symptoms of a migraine headache at this stage may include: depression, fatigue or low energy, hyperactivity, irritability and neck stiffness. A migraine headache in the aura stage often affects a person’s vision, sensation, movement and speech. Some of the problems that occur during the aura stage are: difficulty speaking clearly, feeling a prickling sensation in your legs, arms and face, seeing shapes or bright spots and temporarily losing your vision. What Happens During The Attack Phase? During the attack phase, the actual migraine pain occurs. For some people, this stage can overlap or occur during an aura. The symptoms of this phase can last from hours to days. Symptoms of a migraine vary from person to person; however, common symptoms of a migraine headache can be increased sensitivity to light and sound, dizziness, nausea, pain on different sides of the head, throbbing head pain and vomiting. 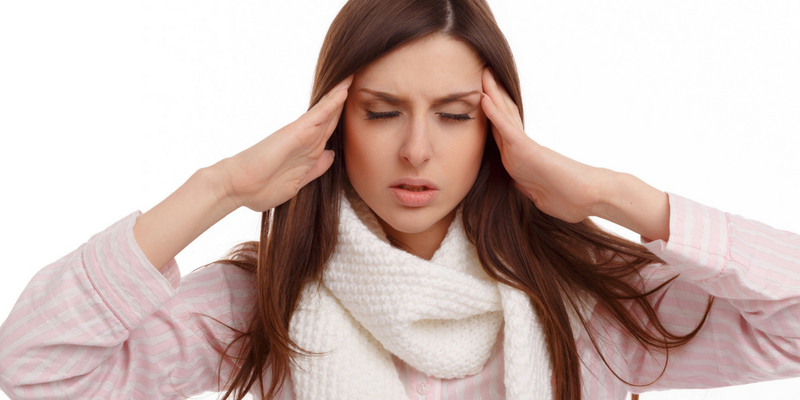 It is important to note; migraine headaches cannot be cured; however, your doctor can help you manage them. Treatment plans for migraine headaches depend on your age, how often you have migraines, the type of migraine you have, how severe they are and the symptoms. Chiropractic treatment is effective for some. Treatment for migraines often include the combination of one or more treatment plans such as self-care, lifestyle adjustments, prescription migraine medications, Tylenol or NSAIDS, counseling or acupuncture. Most importantly, talk with a chiropractor about your migraine headaches. He or she has several treatments for migraines. Most importantly, you may try a few things at home that may help lessen the pain of migraines such as lying down in a dark, quiet room, massaging your scalp or temples or placing a cold cloth over your forehead or behind your neck. How To Prevent A Migraine Headache? Changes in brain chemicals can cause migraines, as well as bright lights, severe heat or severe cold. Other causes are hormone changes in women, too much stress, unusual smells, certain foods, alcohol and traveling. Most importantly, certain foods trigger migraines such as alcohol and food additives. To conclude, migraine headaches can cause multiple symptoms such as vomiting, nausea and sensitivity to light and sound. Talk with your doctor or chiropractor and find out more.